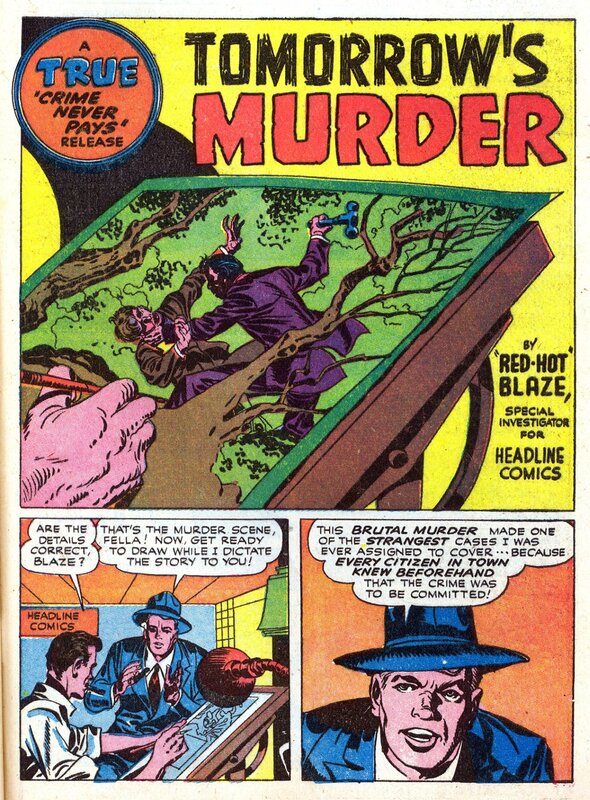 Jack Kirby Crime: Tomorrow’s Murder! Prize published Treasure Comics from 1943-1947. It had all kinds of stories, from humor to adventure to fantasy. Lurking in the pages of the tenth issue you will find a crime story by Jack Kirby and Joe Simon: Tomorrow’s Murder! Kirby and Simon did not stay on the title for long but other greats like Frank Frazetta were also featured in it before its demise. 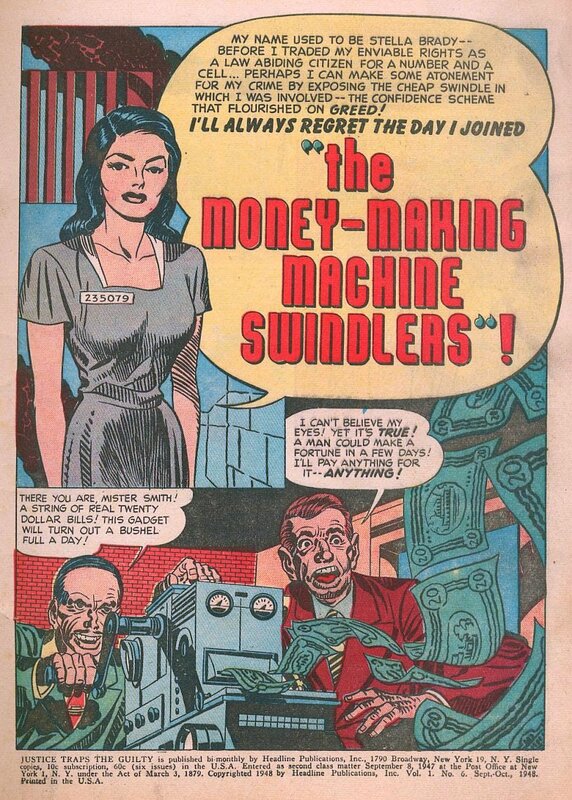 Jack Kirby Crime: The Money-Making Machine Swindlers! Early issues of Justice Traps the Guilty feature legendary collaborators Joe Simon and Jack Kirby producing “true” crime stories. The lives of criminals seemed to fascinate Kirby, and he would return to the subject twenty years later with In the Days of The Mob. Collector’s Guide: The first three issues of Justice Traps the Guilty are now collected in a Kindle version! – From Justice Traps the Guilty; 1947-1953, Prize/Headline. 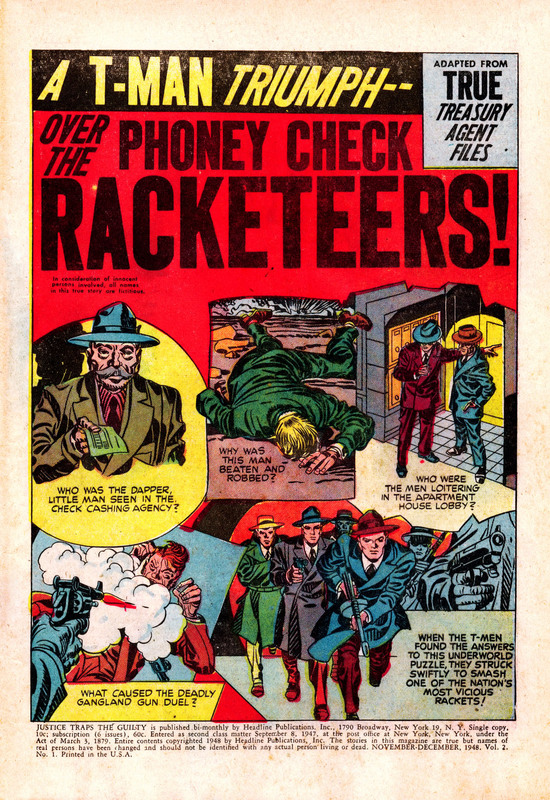 Jack Kirby Crime: The Phony Check Racketeers! Jack Kirby Crime: Underworld Snob! 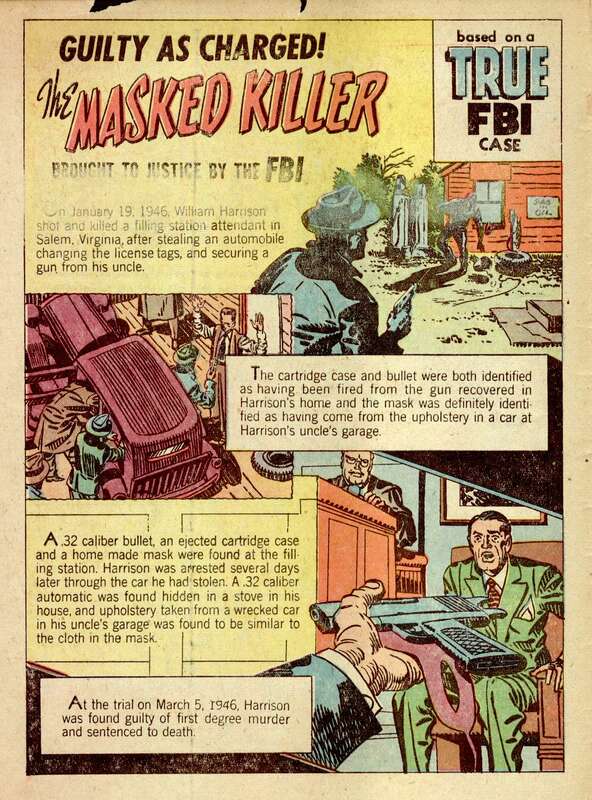 Jack Kirby Crime: The Masked Killer! 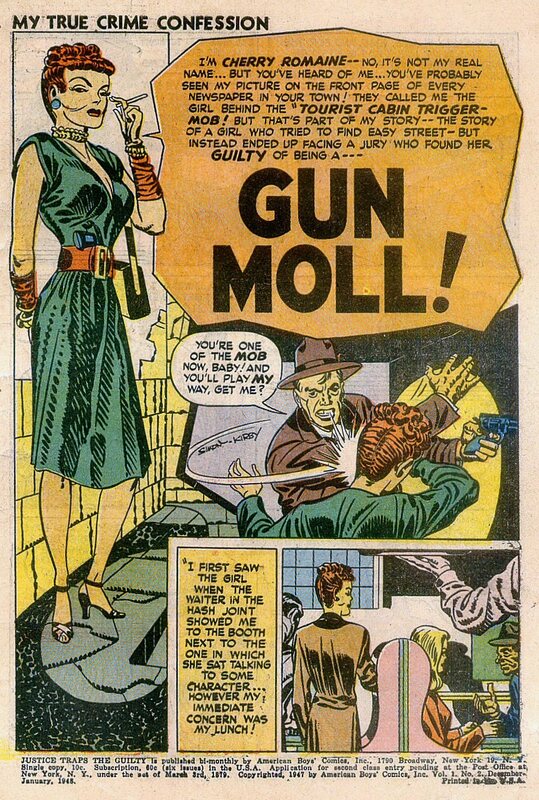 Jack Kirby Crime: Gun Moll! 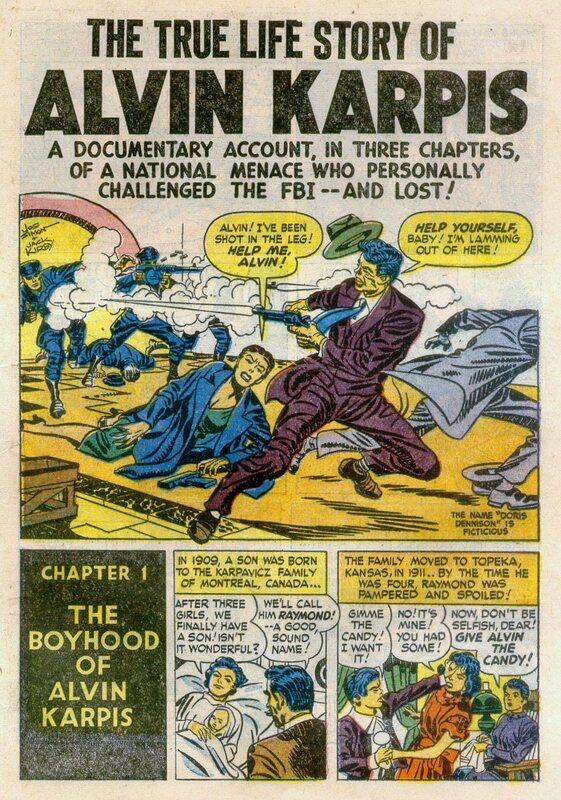 Jack Kirby Crime: The True Life Story of Alvin Karpis! Joe Simon and Jack Kirby’s work on Police Trap has been well-documented at The Jack Kirby Museum. The collaborators watched their publisher fall to pieces, and they found Charlton was willing to help continue the title. Police Trap #5 was the first Charlton issue, but it would only last through #6. 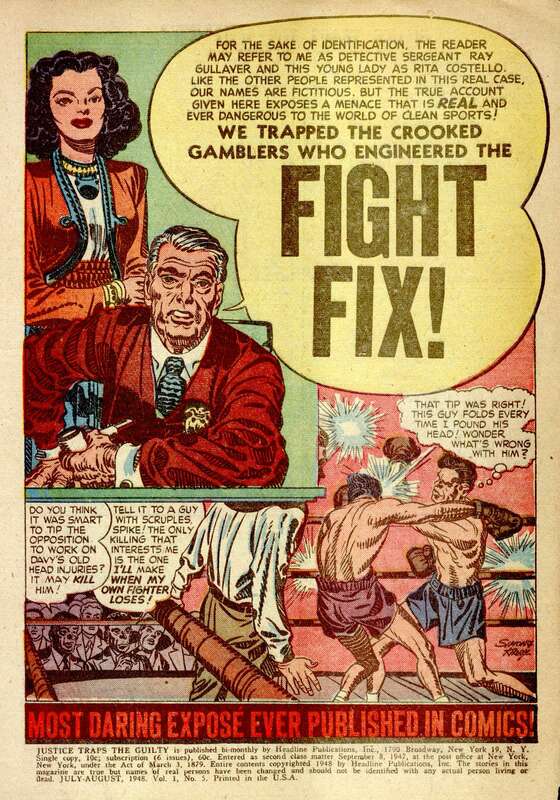 Jack Kirby Crime: Fight Fix! 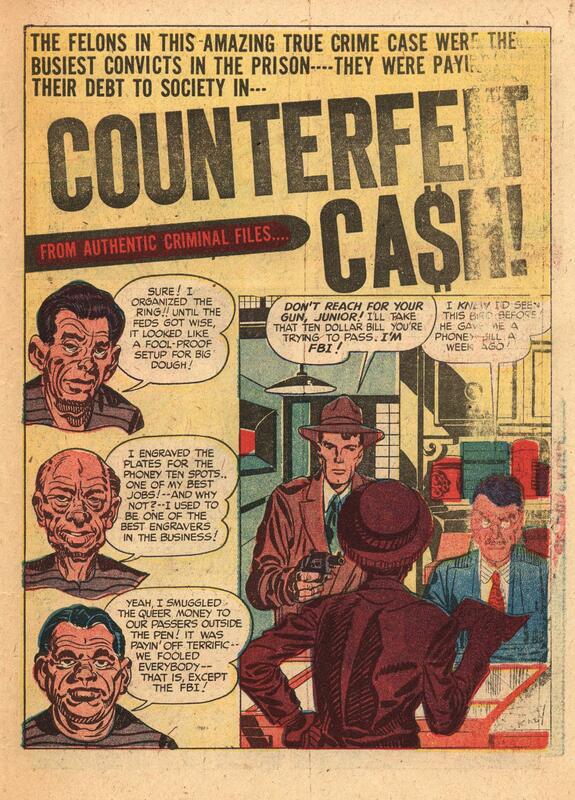 Jack Kirby Crime: Counterfeit Cash! 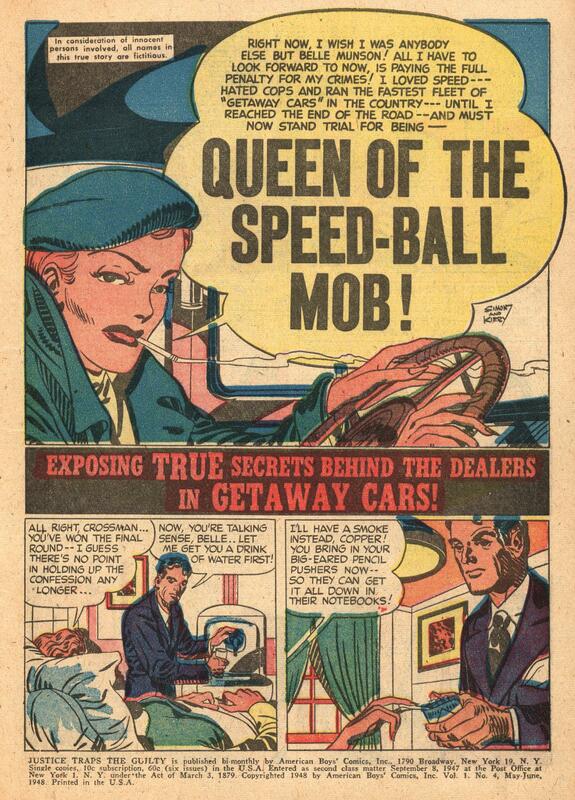 Jack Kirby Crime: Queen of the Speed-ball Mob! 100 Bullets 11: That’s Why I’m Here. There IS Something You Can Do! 100 Bullets reads so intensely that we may need to create a Volume Two of our Top Ten Favorite Single Issues just to include it. The scene we’ll share with you today comes from the eleventh issue. 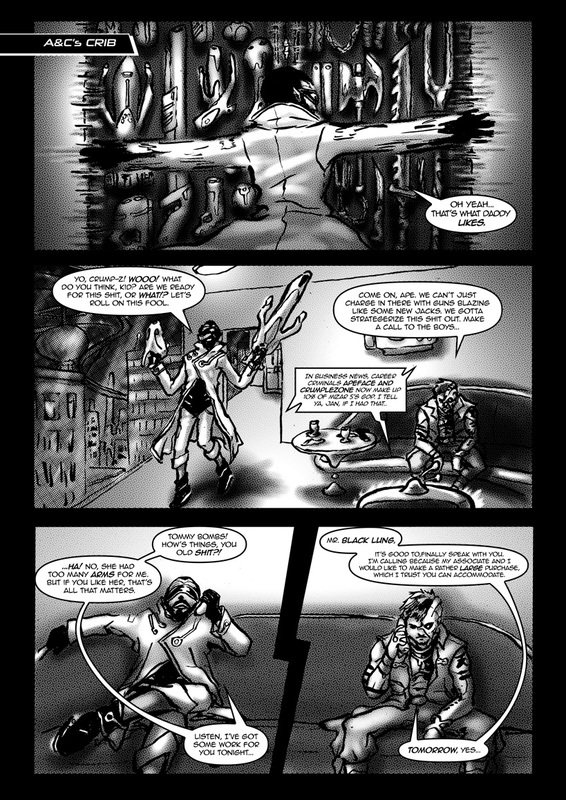 As the series progresses, we learn more about Agent Graves and his shadowy organization, and his true motives. But in the early issues, before the plot thickens and a web of intrigue spins out of control, we get a few stories that focus more on this ‘hook’ than Azzarello’s unfolding epic. In the scene below, Agent Graves tells a grieving mother the final fate of her missing daughter. While the scene relies on exposition, the previous scene (not included here) establishing her daughter’s absence is told entirely without words. Eduardo Risso uses a stark but tender moment in an empty child’s bedroom to convey the mother’s sadness. 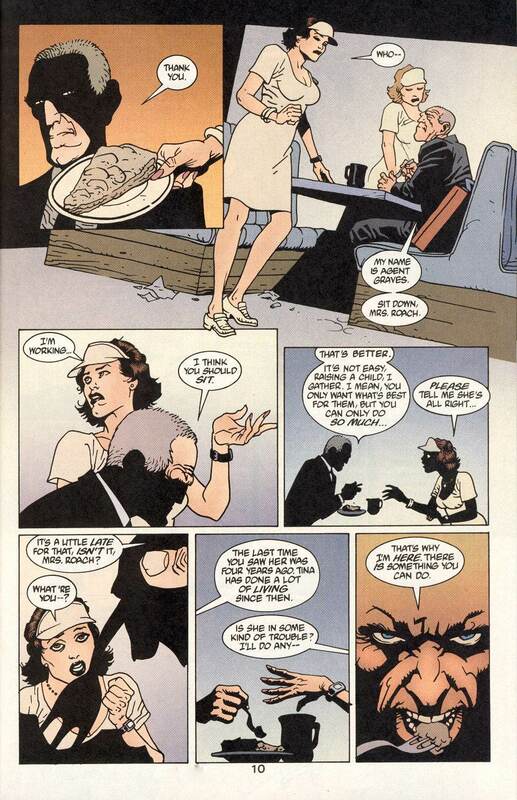 This scene in the diner, though, and the matter-of-fact delivery from Graves, suggest that despite horror he relates, Graves has seen many such horrors in his life. What could possibly compel him to present these briefcases, to open these personal wounds, and to offer these opportunities? This episode of 100 Bullets raises questions about Graves’ motives and morality. On the one hand, he seems cold and cruel, chomping on a piece of pie as he relentlessly relates a tale that touches on just about every nightmare a parent could have for their child. On the other hand, while many of these scenes turn out to be part of the larger plot where Graves gets his old crew back together, this episode has nothing to do with that. Graves gives this poor woman the brutal truth and the means for justice (or revenge, depending on your perspective) with no gain for his organization or larger plan. This suggests a much deeper moral characterization for Agent Graves. Often accused of simply playing a game, Graves seems to be either a sadist or a firm believer in a kind of higher justice. Moreover, Graves never takes matters into his own hands to right wrongs such as these. He puts that power in the hands of the injured party. He seems driven to pose this moral question to those he confronts. 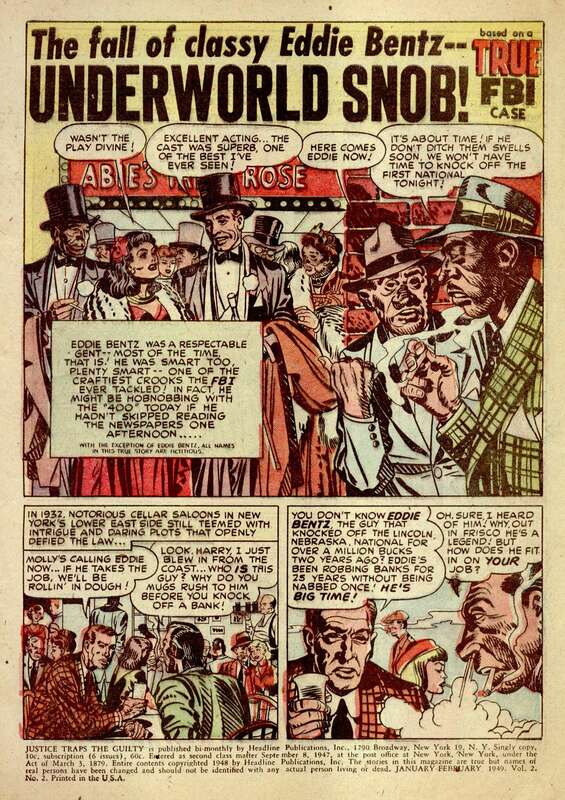 Yet, on the final page of this issue (not included here) where Graves witnesses the outcome of this woman’s choice, he takes no sadistic glee in the moment. Rather, he appears wordlessly somber, sober, serious. This is no laughing matter for Graves, not something he takes lightly. Azzarello and Risso never, not in 100 issues, give us any thought bubbles or voice-overs to convey what’s going on inside Graves’ head. 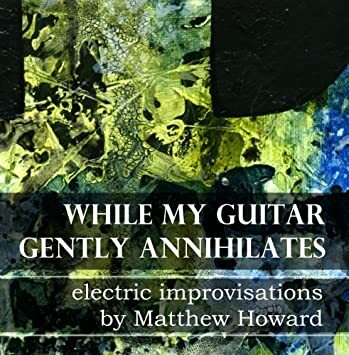 They leave us to judge him existentially – by his actions alone – through his dialogue, body language, and facial expressions, which Risso masterfully depicts throughout the series. Graves, therefore, poses the essential moral themes of the story to us, asking the question but never explicitly giving the answer. 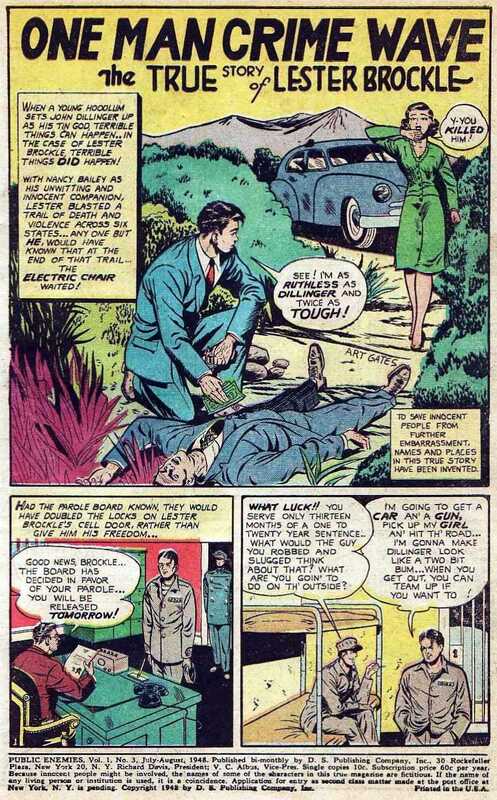 Just as he does with the briefcase and the bullets, Graves leaves the reader to draw the conclusions on their own. It’s a great story, and we highly recommend the entire series. – From 100 Bullets #11; DC/Vertigo,. Indie Comics Review: Escape to Mizar 5! Escape To Mizar 5 is a new independent comic book about two career criminals who arrive in chains on a prison planet and take over the crime syndicate from the ground up. It’s a fun romp full of hustles, aliens, tough street talk, and laser blasters. The energetic artwork by Waranghira, especially the inking style and zip-a-tone, brings to mind the early days of Lawson & Lavigne on Tales of the Teenage Mutant Ninja Turtles. We had a lot of fun reading it! 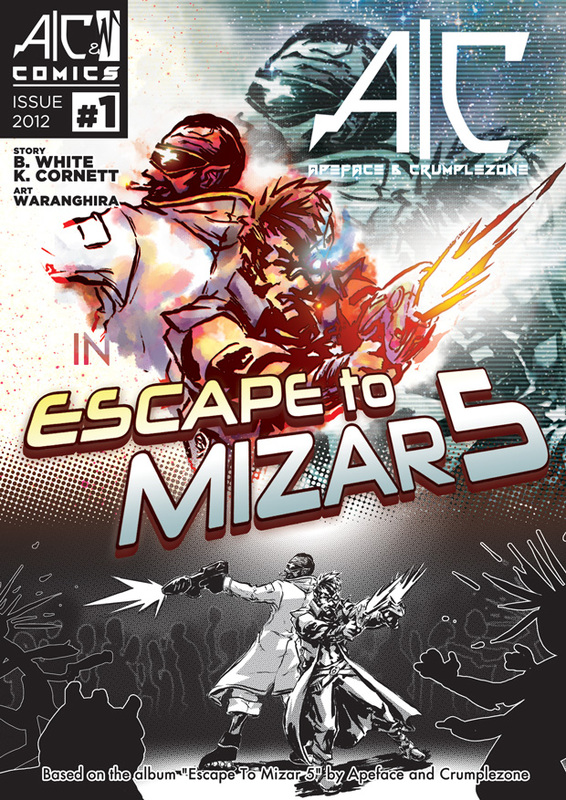 Download Escape to Mizar 5 in PDF – free from Mediafire! The story of Escape to Mizar 5 ties into a full-length space-rap concept album by authors Apeface & Crumplezone. The comic book tells of Apeface & Crumplezone’s interplanetary criminal adventures, and the 16 songs on the album follow that story, too. We were impressed with the smooth groove and high production values of the first single, One Night. 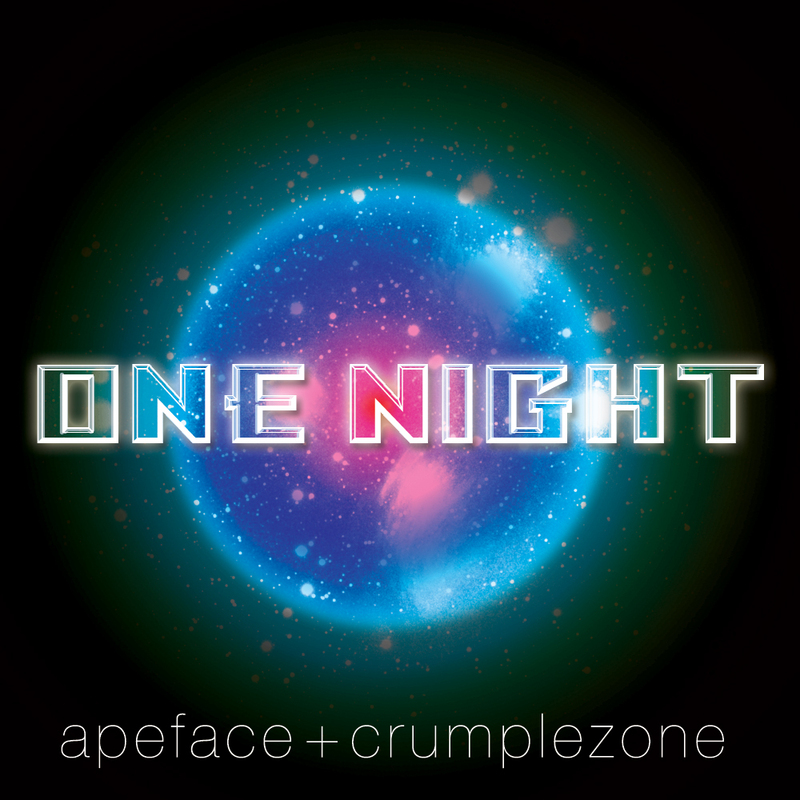 Apeface and Crumplezone have put together a great package: a radio-ready rap/R&B single and a hip indie comic to promote the full album. While gearing up for release this summer, they’ve given us permission to give you advance access to their tasty jams and their comic book. Enjoy Escape to Mizar 5! Catch up with Apeface and Crumplezone on Facebook. Public Enemies: One Man Crime Wave! Here’s a fun true-crime story from 1948 – if you think murder, mayhem, and abuse are fun, that is! “The True Story of Lester Brockle” claims to be based on a true story about a vicious criminal who ended up in the electric chair. We found it hard to research the facts because all of the names have been changed! 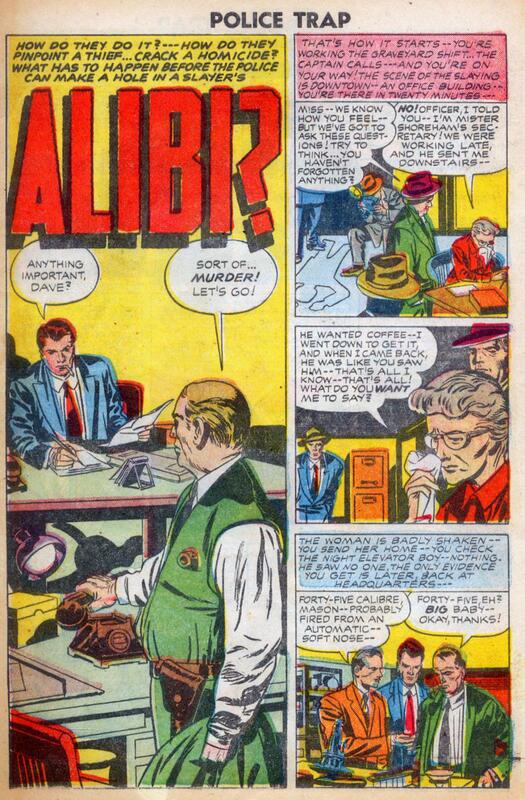 Still, it’s one of the more compelling stories from a classic crime comic. D.S. Publishing, 1948. Art by Art Gates.